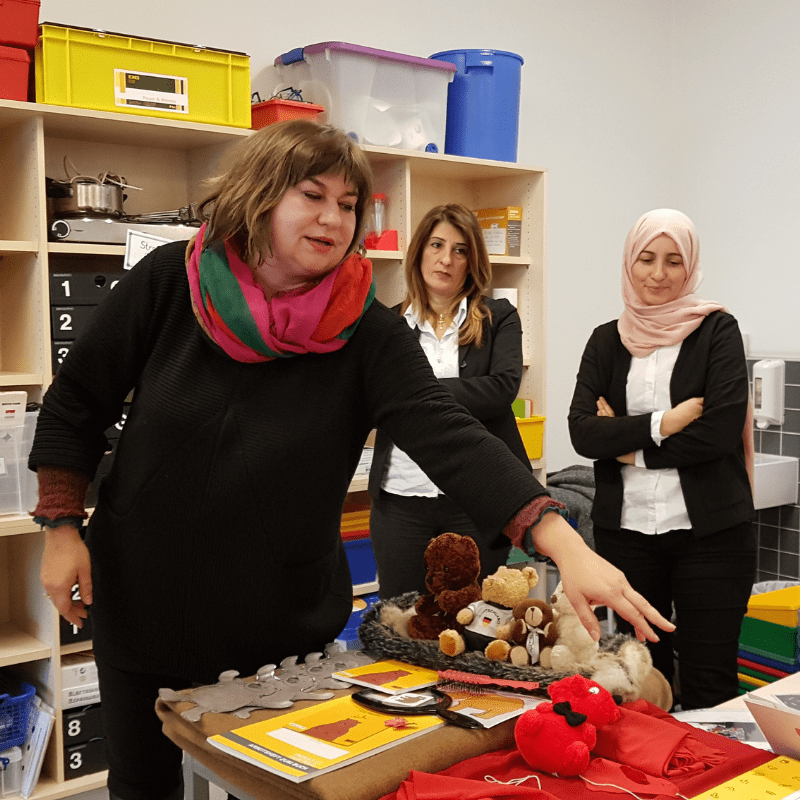 A delegation of project staff from the Mothers Matter Centre and Immigrant Services Society of BC (ISSofBC) travelled to Bremen, Germany in November 2018. The trip is part of the Reviving Hope and Home Project (RHH) for high-risk refugee mothers funded by IRCC. During the trip, the delegation learned more about the German HIPPY Program and the immigrant and refugee situation in Germany since 2015 when the country accepted over 1.1 million refugees. HIPPY Germany quickly recognized the need for a flexible, responsive service delivery approach and made several adaptations to the HIPPY program to accommodate refugees’ needs. The goal of the visit was to learn more about these responses and outcomes in order to identify success factors that are adaptable and transferable. During their stay, our team took part in home visits and observed a number of programs. They met with staff at the Deutsches Rotes Kreuz (German Red Cross) who have delivered HIPPY in Germany for the past 26 years, toured several types of housing for refugees, and visited a neighbourhood house. Based on what was observed in Germany, our team is now exploring possible adaptations to the RHH pilot program format. A visit by HIPPY Germany to Vancouver is planned for Spring 2020. At that time, lessons learned from the programming and research in Germany and Canada will be shared at a small conference.